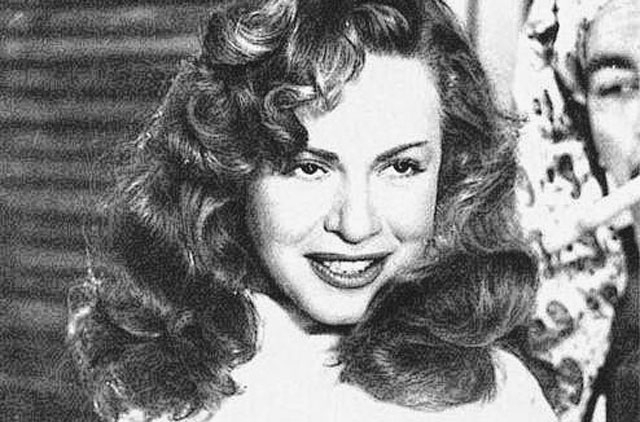 Cairo: Egyptian actress Hind Rostom, best known for playing the temptress in movies of the 1950s and 1960s, died of a heart attack on Monday night at a hospital in Cairo, medical sources said. She was 82. Nicknamed the ‘Marilyn Monroe of Egyptian cinema', Rostom started her career in 1949 when she appeared as an extra in the musical classic Flirtatious Girls. During her career that spanned 30 years, she was famous for playing seductive roles. Her filmography includes such classics as Eve's Girls, The Body, I can't Sleep, Conflict on the Nile, A Rumour with Love starring internationally renowned actor Omar Sharif, and The Night's Empress. Rostom belongs to what is known as the golden generation of the Egyptian cinema. She worked with Egypt's leading movie directors including Yousuf Chahin who directed her in Bab Al Hadeed (Cairo's central station), which competed for the top prize in the 1958 Berlin Film Festival. She quit acting in 1979 and disappeared from the public eye until she appeared in a television interview earlier this year with Mahmoud Sa'ad on his daily show Egypt Today. During the interview, Hind said she retired when she was in her early forties because she got married to her late husband Dr Mohammad Fayyad and became a housewife. Hind said she spent her days with her daughter, grandson and his wife, adding that she never regretted retiring at the peak of her career because her husband was a great man and worthy of sacrifice. Hind said her father's family was against her showbiz career, but her mother and her family stood by her side and supported her.